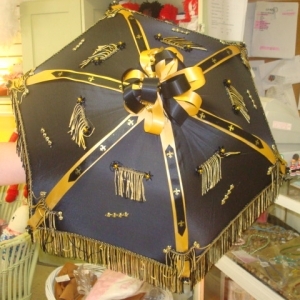 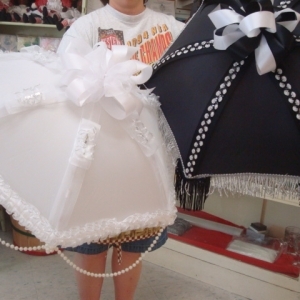 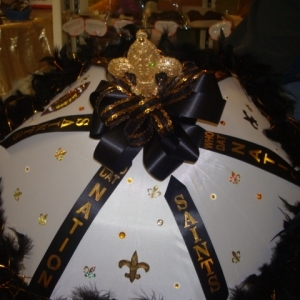 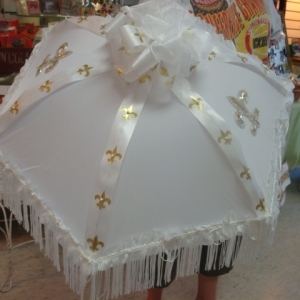 Second Line umbrellas for brides, grooms, Mardi Gras , funerals or any “New Orleans Parading Feeling” that might overtake your sense of celebration. 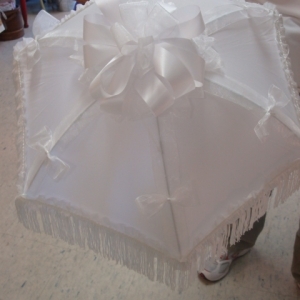 You can pick from the standards we make right in our store or we can custom make them for you. 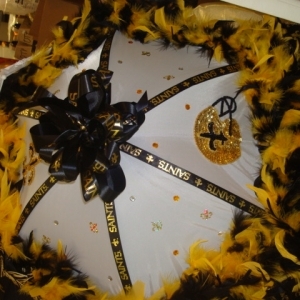 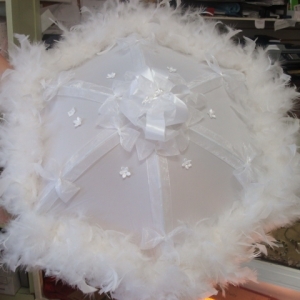 From a soft and simple look to the beautiful and elegant or the party hardy to the saints umbrellas – we do them all. 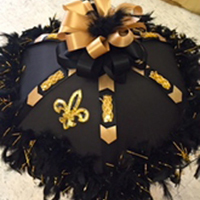 Fill out our contact form for more information. 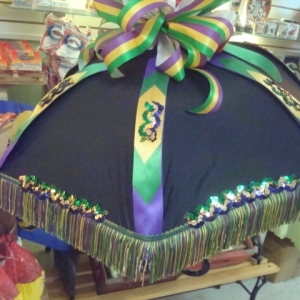 © 2019 Old Town Praline.